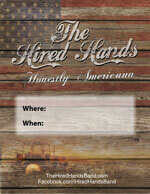 Thanks for your interest in the the Hired Hands Band! This page provides access to our press kit materials. 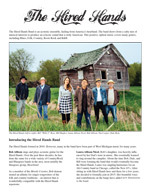 This is a two-page document that provides general information about the band. 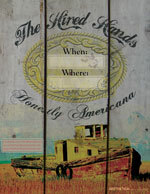 It is available in print-quality, Adobe PDF format. 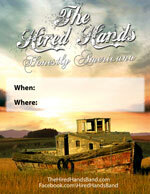 We encourage club owners and event planners to use these posters to promote appearances by the Hired Hands. Each poster is available in Adobe (PDF) format. 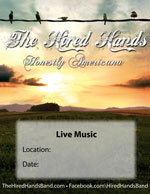 Print as many copies as you need, then fill in the details (Where, When, Cover) for your event. Note that these are large files and may take some time to download. These photos should work well for Websites and printed materials. Each photo is available in three sizes. Note that the links marked “professional use” point to very large files that may take 15 minutes or more to download. If you have the need for hard copy prints, send us a message via the Contact Page.